The type of wall one wishes to bond with bricks influences on the type of bonding to be used on the wall.There two types of brick walls. 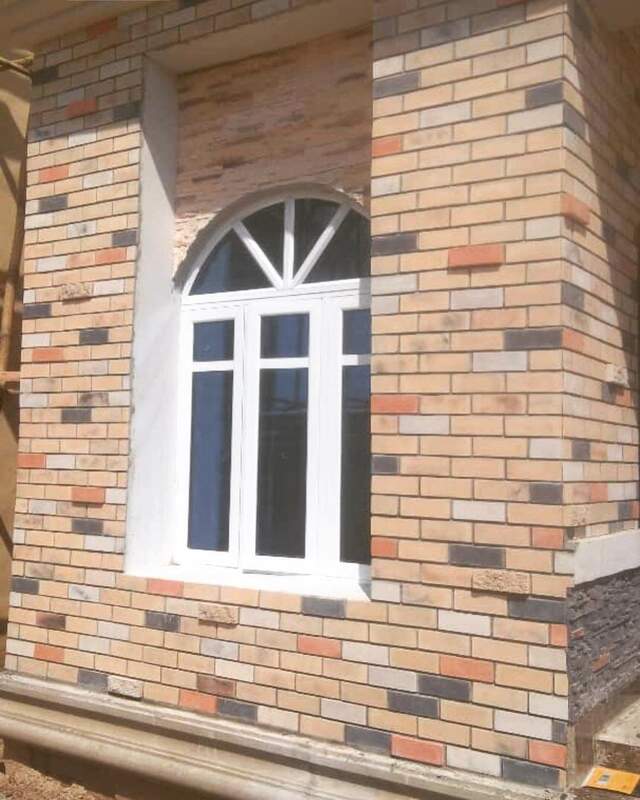 The structural brick wall mainly supports weights and requires strong structural bonds, while decorative brick wall requires decorative bond pattern and brick veneer for decorations. They are just for decoration. Brick bonding is the positioning of bricks in a patterned form with mortar as an adhesive. Brick bonding is not only done on walls but also on patios, walk ways and any kind of masonry. The bricks can be patterned in longitudinal or latitudinal patterns. Bricks are laid in such a way that the joints overlap, from one row to the other. Brick bonding must be interlocked to give strength and stability to the wall. If bricks are bonded with the joints along the same vertical line they will easily tumble down. Brick bonding requires the use of same size bricks. Same size bricks create uniform patterns and designs on the structure. 1 Increase the strength and longevity of the structure. 2 Bring conformity and formation to the structure and it adds beauty to the structure. Header Bond: This pattern compromise of half bricks assembled in header direction. The overlapping of the bricks matches the half width of the bricks and it is mainly used for erection of thick single brick wall. Stretcher bond: this is also called running bonds. This bonding is quite simple and easy to lay. It almost the same with header bond but this is laid in stretches rather than headers. This pattern can be done on chimneys and partitions. It is a structural load bearing bonding. Flemish bond: This pattern of bonding is difficult and requires a professional to construct. it is made up of bricks in a header and stretcher positioning interchangeably. The headers are laid in the middle of the stretcher above and below. This bonding is a structural bonding pattern and exits in two types, the single Flemish bond and double Flemish bond. Stack bond: this bond pattern is mainly for decorative purposes as it is less strong and does not usually support the wall load. The bricks are laid with mortar in a vertical and horizontal pattern, lined on top of each other with joints perfectly aligned. The bonding is not a ideal for walls, it not structural because of the alignment of the joints. It is mainly constructed for aesthetic purposes. English bond: The English bond is a common bonding pattern widely used. It is a structurally strong and supportive bonding. It comprises of headers and stretchers above and below each other in an alternating formation. The course always starts with header in a corner of the wall.